A traditional balsa and tissue rubber-powered free-flight model of a pseudo modern light aircraft that's perfect for teaching basic building and flight trimming techniques. 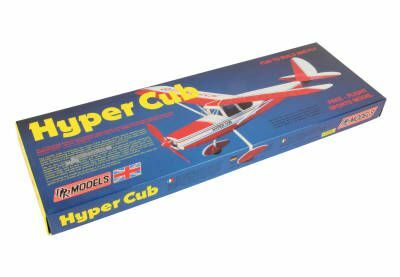 A traditional, all-balsa, performance chuck glider that serves both the beginner and the expert. An evocative catapult launch flying model of the world-famous supersonic airliner. An exciting catapult launch flying model of the aircraft used by the world famous Red Arrows aerobatic team between 1965 and 1980. An attractive, pseudo scale, free-flight cabin monoplane that offers an absorbing traditional build and exceptional flying characteristics. 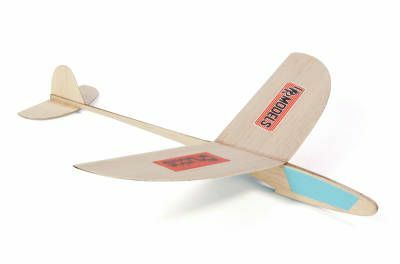 A traditional balsa and tissue rubber-powered free-flight model of a pseudo modern racing aircraft that's perfect for teaching basic building and flight trimming techniques. An attractive, free-flight sailplane that offers an absorbing traditional build, towline launch and exceptional flying characteristics. An eye-catching catapult launch flying model of the outstanding swing-wing multi role combat aircraft. 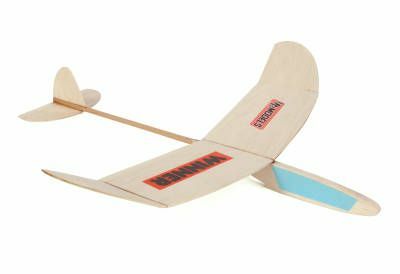 A traditional, all-balsa, competition inspired chuck glider that serves both the beginner and the expert.